As of August 8th 2018, Klaviyo Integrations (both Step 1 and Step 3) now preserve the double opt-in options as they are set within your Klaviyo account list and segment settings. A custom form integration within Justuno is no longer required for the double opt-in functionality. You will need to generate an API Key to use with Justuno. Go to https://www.klaviyo.com/account. Under "Private Keys", click "Create API key" on the top right. Copy your "API Key". NOTE: Users who are integrating through the design canvas to collect more information from customers, STOP HERE. 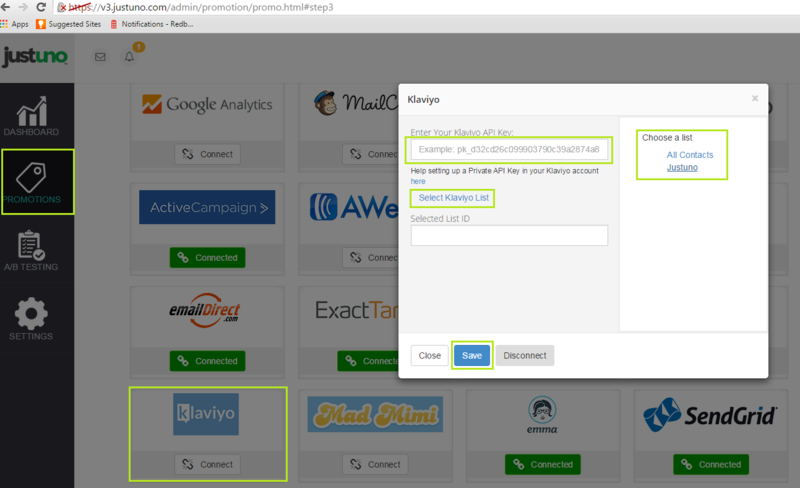 There is no need to also integrate Klaviyo in the integrations section. Head here to more instructions. 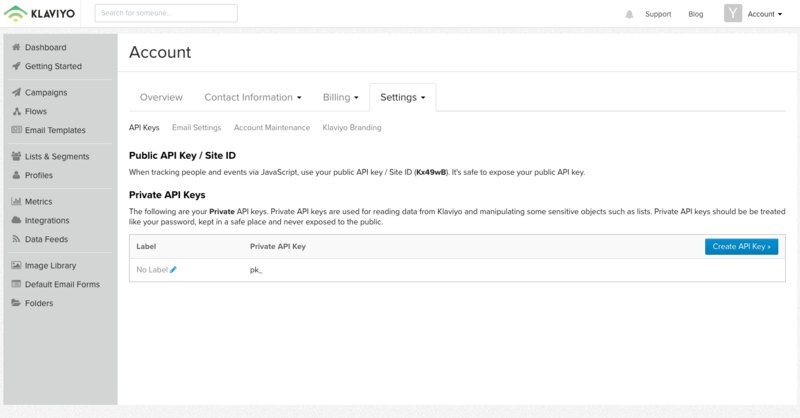 On the "App Integration" tab, locate and click on the Klaviyo "Connect" button to launch the configuration options. b. Select a Klaviyo campaign and click "Save. Your Justuno will now sync new signups to your selected Klaviyo list as they come in!